Several months ago the Independent Ear featured a post about a very special edition of Washington History, the publication of The Historical Society of Washington, DC. 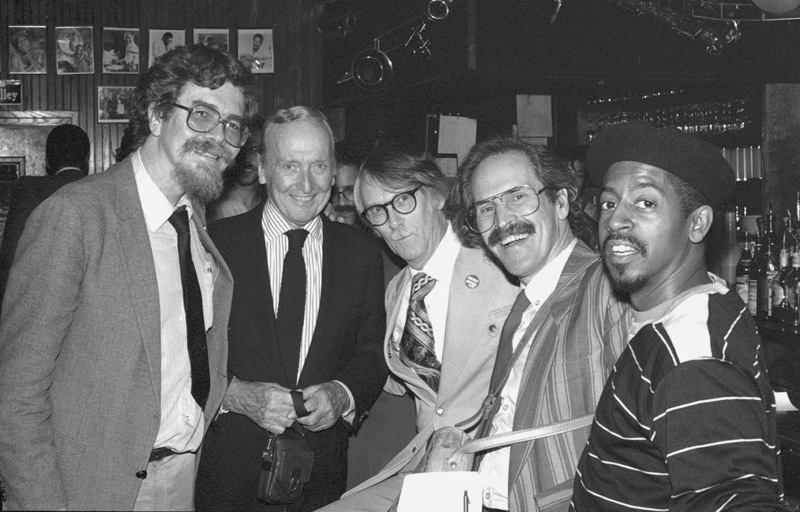 That issue, subtitled “Jazz In Washington,” was edited by Prof. Maurice Jackson and Blair Ruble and included revealing, important contributions on such colleagues as Rusty Hassan, John Hasse, Michael Fitzgerald, and the editors on various important historic elements of DC’s rich jazz history. For reasons related to a happy new personal development which I’ll detail later, I’ve been contemplating Washington’s place on the jazz map and the people who keep the music vital in our nation’s capital. These include not only the exceptional family of current & future DC jazz artists, but also those who broadcast the music and generally set the stage for our exceptional corps of resident and visiting jazz artists. From an obvious personal perspective, I’ve long felt that those who set the figurative stage for those artists too often remain anonymous; thankfully editors Jackson and Ruble in their wisdom agreed. So for that issue of Washington History I was assigned to interview Bill Brower, an old friend & colleague who has witnessed much of DC’s jazz history for over four decades, one who most assuredly has been a scenester and stage setter in his own way – and an Ohio homeboy to boot! So just in case you missed that issue of Washington History (additional information: visit www.HistoryDC.org), here’s my contribution on Bill Brower. For the past 40+ years jazz historian Bill Brower, a native of Toledo, OH, has been a true DC jazz community renaissance man. He has been a jazz journalist-critic, occasional broadcaster, concert, festivals and jazz event producer, an event technical producer, and all-around scene maker. We interviewed Bill one afternoon in his N.E. DC kitchen, just a few short steps from a room packed with records, CDs and books on jazz and various sundry subjects, at his capital hill home just blocks from Union Station. When did you arrive in DC and what brought you here? I came here in the summer of 1971 after a series of coincidences that involved [former WPFW broadcaster-administrator, college professor and political observer] Tom Porter. I graduated from Antioch [College] in the spring of 1971. A friend of mine from Antioch, Archie Hunter, came through that spring and said ‘why don’t we go to Brooklyn and hang out at the African festival.’ I was on my way to Brooklyn, my car broke down and I decided to go to DC and hang out with Tom; I’d known him since I was a sophomore at Antioch. What was your experience on the jazz scene in DC in your earliest days here? Wallace took me home one day and saw my living room full of records. He said ‘I’ve got a son who’s involved in jazz.’ That’s when [trumpeter] Wallace Roney Jr. was at Duke Ellington School. And because Sr. traveled a lot he needed someone to work with Wallace Jr. Wallace’s early band had Clarence Seay on bass, Marshall Keys on sax, Geri Allen on piano, and Eric Allen was playing drums… Some of them were in college… Chuck Royal was in that band, [Wallace] had a lot of young, really good players. That’s why [Wallace Sr.] needed me because Wallace Jr. was at Duke Ellington; Marshall is a little bit older, he might have been out of college. It was some high schoolers and some college- aged folks. They were playing [places] like the Pigfoot, Harold’s Rogue & Jar… that’s where Wallace was getting gigs. So my job was to be the adult – to collect the money, watch the band. Kind of chaperone-manager. What was the scene here like overall when you first got to DC? I started collecting records when I was in Jr. high School, and continued in college. When I got to DC I actually stayed with Tom Porter and he introduced me to a bunch of cats like [WPFW alum] Bob Daughtry, and there was a legendary cat named Thomas Paul, who worked for what became Olson’s Books & Records. There was a record store up Connecticut Avenue south of the Washington Hilton Hotel and there were two partners, Bob Bialick and John Olsson. At one point Olsson split off. Thomas Paul was like the jazz guy. I fell into a group of cats that collected records, like [WPFW alum] Art Cromwell. Thomas Paul was our connection, we were like record junkies – if I can draw that analogy and not seem too pejorative. This was when Olsson’s was across from what is now a Sun Trust Bank at Dupont Circle. Later on it became Olsson’s Books & Records and Richard Goines was the jazz buyer there. Eventually I went to work for Olson’s in 1982, at 19th & L, and I had a helluva jazz section. I was the jazz buyer there and Richard was the jazz buyer at the Georgetown store. I did that maybe three or so years, until about the time that we started the Capital City Jazz Festival. Did that record store work open doors for you in the DC jazz community? What aspect of jazz were you writing about for these local publications? It was a combination of things – who’s coming to town, almost like jazz notes – I might write a feature on somebody, it might be record-oriented, I might do a bunch of short record reviews; it was a variety of things, whatever I wanted to do. Where was the jazz being performed in DC at that time? You had some venues on Rhode Island Avenue, like Mr. Wise, Moore’s Love & Peace, the Pigfoot, Blues Alley, The Etcetera Club on M Street, the One Step Down, the Top of the Foolery, Harold’s Rogue & Jar on N Street south of Dupont Circle. Were these clubs that would feature mainly DC-resident musicians? On the Rhode Island Avenue side, where most of the black clubs were, it was local musicians. Wallace played there, Davey Yarborough and Esther Williams were at Moore’s Love & Peace a lot – a lot of local cats played those places. Bill Harris’ place, the Pigfoot, would occasionally have a Betty Carter or someone from his years in the music that he had a relationship with, but also a lot of the local cats. Top of the Foolery played mostly resident musicians, Marshall Hawkins played a lot for example. One time Andrew White played 6pm to 6am, every note from his book – and Steve Novosel played the whole time – at the Top of the Foolery near George Washington University, on 23rd Street on the north side of Pennsylvania Avenue. What was the occasion for Andrew to play that marathon? Because that was an Andrew White production [laughs], ‘I’m gonna play 12 hours.’ That was the gig. He produced all of that, you know like his book [of compositions] is this big [holds hands wide apart]. The Etcetera was on M Street between Connecticut and 19th Street. They were a short-lived club – maybe a couple of years – they were trying to compete with Blues Alley. I remember Sun Ra playing there. And they would also do gigs at lunchtime. They weren’t focusing on Washington artists; they were bringing national or international artists. The One Step Down was famous for their jukebox and on Friday and Saturday evenings they would bring in a Barry Harris or sometimes a working trio or working quartet, but often times they were bringing in soloists to work with local rhythm sections. One Step Down and Blues Alley were ongoing; I don’t remember a time until One Step Down closed when those clubs weren’t active. The Top of the Foolery was active as long as I could remember, then at some point it became a parking lot on Pennsylvania Avenue over by George Washington University, around 23rd Street. When you arrived in DC who were some of the more important and impactful musicians around town? Andrew White, Buck Hill, Ruben Brown, Marshall Hawkins – those guys, those circles. Of course Charlie Byrd was still around and his club, which was on K Street, was just south of Blues Alley. Harold Kaufman, a psychiatrist and amateur piano player, owned Harold’s Rogue & Jar. Wallace worked there and I also remember David Murray playing there. Would you characterize DC at that time as having an active jazz scene? Oh yeah, definitely for the size of DC. There was jazz a lot of other places; there was a guy over there by the Howard University Hospital who developed a hotel and he had a club that I remember Sun Ra playing. Then you had Woodies almost across from Howard University on Georgia Avenue and Euclid Street. He would bring [Philly saxophonist] Bootsie Barnes or Philly Joe Jones, different soloists who would pick up a rhythm section here. There are a bunch of places that popped up, but the real constant has been Blues Alley. When we started losing that generation of musicians that were actually touring – like Max Roach, Sarah Vaughan, and Nancy Wilson – that echelon of artists played Blues Alley. A peg below that in terms of commercial viability would be One Step Down. Then occasionally Harold might get in the game, then Etcetera was trying to be Blues Alley, but it didn’t last. What was it about the DC jazz scene that has made documenting its history compelling for you? I began to feel that over the years Washington’s role in the development of jazz was not sufficiently acknowledged. John Malachi was teaching at Howard University; he wrote “Opus X”, and was the piano player with Billy Eckstine. Then I understood that [Charlie Parker’s bassist] Tommy Potter was in DC, Eckstine was here too. If you looked at the Earl Hines band, then you looked at the Eckstine band, you’d see this DC element in those bands. Those cats didn’t just pop out of the air, what was going on here? As I began to find out more about people who were taken for granted, then I started to connect more dots. And then when I started to do more things with Dr. Billy Taylor it sharpened my knowledge and interest, because that was an important part of his mission, particularly as he could see the end of his life. It’s very clear to me that the program that he put together at the Kennedy Center and hired me for – Jazz in DC – he wanted to find ways to get people to look at Washington as an important center for jazz development. How did your relationship with Dr. Taylor develop? I first met him because I had an assignment for DownBeat to write about Jazz Alive [the NPR series Dr. Taylor hosted] and through that I met [series producer] Tim Owens, Wiley Rollins, and Dr. Taylor. To do that article I had to research his career and all the things he was involved with. Through the years, as I evolved more from being a journalist into concert production I would encounter [Billy] at festivals and different projects I’d be working on. What was the nature of this Jazz in DC production? I curated eight concerts, November 21-29, 2009, for the Millennium Stage that were all themed… Nathea Lee hired me to be a part of Julius Hemphill’s Long Tongues. When the Lost Jazz Shrines project came up Nathea Lee contacted me about writing the essay, so I developed a menu of ideas. What were the eight concerts you produced for Jazz in DC? They were themed around venues. I did one around the Howard Theatre, one on Abarts, Bohemian Caverns, stuff around 7th Street – Little Harlem… I’d give a brief talk about the venue and show some images that I’d collected and then there would be a performance. We did one devoted to Dr. Taylor’s big band music, the only one that wasn’t themed around a venue. We put together a band with [saxophonist-educator] Charlie Young, pulled a bunch of music at the Library of Congress. Charlie went through it and was able to reconstruct charts; we also got [Howard University jazz vocal ensemble] Afro Blue involved. That was quite a concert! Billy did a big concert around James Reese Europe. There might have been a couple of concerts at the [Kennedy Center] Eisenhower Theatre that were part of it but we did these 8 nights on Thanksgiving week. That was a real opportunity to get paid to dig into [DC jazz history] and do some research and come up with the concepts for those concerts. Since your earliest days observing the jazz scene here, what are some of the elements you’ve witnessed that have negatively impacted jazz in DC? That’s just business cycles more than anything. I always make a distinction between the culture and the business. Businesses go up and down for a variety of reasons and that’s not in and of itself a way to judge whether jazz is dead or alive. I think the reason that One Step Down came to an end was because the [owners] got old, they were having health issues and there were development options coming in there, so people make [business] decisions. So it’s your sense that those kinds of things run in cycles as opposed to that old “jazz is dead” canard? I get sick of that discussion I think it’s shortsighted. Dig a little deeper, think a little bit deeper about what may be happening. It might be because a club is in an area that’s going through a change and the club can’t survive that change. I think it has more to do with urban development, or redevelopment than it does ‘is jazz up or down.’ You could be a good businessperson or a bad businessperson; you could be getting old or it could be a demographic change or some other kind of change that would cause that business to run a cropper. Conversely, what have been some of the more positive developments on the DC jazz scene that you’ve observed? The fact that the music has moved to other platforms than clubs. I’d say that right now for a community like ours we have an embarrassment of riches. We have the Friday night jazz scene at Westminster Church, but you also had the Smithsonian Natural History Museum with a Friday night jazz scene kind of in the same time period, and other churches trying to replicate that. Just the fact that jazz is not limited to the club platform has been a real important development. Obviously WPFW is very important. The loss of [jazz station] WDCU had nothing to do with the music it had to do with the state [the University of the District of Columbia] was in. I think at the point where we had two radio stations providing on-air jazz programming was really important. I can think of a whole set of individuals who were very knowledgeable – lay scholars if you will – aficionados who used radio as a platform to share their knowledge, their collections with the community, that was very important. What the Kennedy Center has done for jazz, what Strathmore has done to a lesser degree, Clarice Smith Center at the University of Maryland, George Mason University… all that is relatively new stuff. Library of Congress, Smithsonian… the institutional engagement in providing more platforms for the music. You’re not one who reacts negatively to the whole notion of jazz in the institutions and the evolution of jazz to the concert stage? Talk about your work on the Capital City Jazz Festival. The seeds of that lie with WPFW. The center of [Capital City Jazz Festival] was Karen Spellman. She did a concert as a fundraiser for WPFW – and how I got involved was the Roneys [Wallace Jr. and saxman Antoine] were on the concert. It was the McLeans – Jackie and Rene – the Marsalis brothers, and the Roneys. I had known Karen through SNCC [Student Non-violent Coordinating Committee] connections. I got to know A.B. Spellman through [poet] Gaston Neal. I did my first Antioch College co-op here in 1966. Through coincidence I got off the bus one day on 14th Street and I saw this guy in a storefront fixing it up, so I went in there and it was [poet] Gaston Neal and that’s how I met him. He was getting ready to open up the New School for African Thought. He was part of the black poetry movement with Larry Neal, Marvin X, Amiri Baraka… At that point what Baraka was to Newark, Gaston was to DC. Gaston got sidetracked because of some personal things and never got his work out there in publication. Then when he got himself more stable he went into counseling and writing was kind of an aside, but at that time he was definitely a cultural visionary and a lot of music was coming through that New School for African Thought. And that first weekend when it opened [poet-author] A.B. [Spellman] was a part of that and that’s how I came to know him. The Kool Jazz Festival had come to the Kennedy Center in ’77 or ’78 and they actually used the whole Kennedy Center and I worked on that; I was like an intern. Part of what A.B. was referring to was ‘ ‘this city is still ripe for a festival, there’s a new Washington Convention Center with a subway stop right there, I can’t do it I’m at the NEA, Karen is going to take the lead and I want you to get with her to do this festival.’ Because of the relationship Karen had with WPFW around that concert she produced for them as a fundraiser they were in the mix so Bob Tyner, who was then the [WPFW] Program Director, was involved. Jeff Anthony was at the NEA working in the Music Program specifically around jazz but he resigned at some point after we’d done [Capital City Jazz Festival] a couple of years and he became an important part of that. Then out of our relationship we went on from the Capital City Jazz Festival and that same core of people did the Black Family Reunion and started the Adams Morgan Day festival, on the production side. One of the board members of the Capital City Jazz Festival was Ralph Rinzler, who was like an external affairs guy for the Kennedy Center. That’s how we wound up doing an event as part of the Capital City Jazz Festival that we did in ’85-’88. The first one we did we honored Bill Harris, Roy Haynes and Benny Carter and we presented [trumpeter] Marlon Jordan and the American Jazz Orchestra under Loren Schoenberg’s direction and they played a work of Benny’s. The first two we did at the Convention Center. We actually did a full festival three years – two at the Convention Center with a sidecar at Duke Ellington School one year – and then one year we did a week at Howard University, and we did a week of stuff at the Old Post Office Pavilion – that was lunch time stuff – and then the next weekend we did at George Washington University. That was a festival where we basically got in so much debt that we never mounted another full festival of that type. But we did do events at the Smithsonian twice, and one year that was the only thing that we did. Ralph Rinzler kind of brokered that as well. We did a tribute to John Coltrane with Hamiet Bluiett, Andrew White… We did a program around the organ with Jimmy McGriff. We passed out copies of “Lift Every Voice and Sing” to the audience but nobody sang it; McGriff always ended his concerts with that song. Kenny Burrell was on that. During the week we did DC resident artists at lunchtime at the Old Post Office Pavilion. The last weekend of the festival we had Geri Allen, Henry Threadgill, Henry Butler… The significant thing is that before we even did the first Friday night concert at Crampton Auditorium, we were at the bank getting a loan to be able to pay the musicians. That Sunday we all met at Karen’s house because we knew we had to re-fashion the festival in order for it to get done. That was probably one of the most emotional times I’ve had because that year 1988 Karen was working on the Democratic National Convention and I was really running everything. I did production, a lot of the programming, publicity stuff, but Karen was the interface with the money and she was better able to negotiate a lot of things. 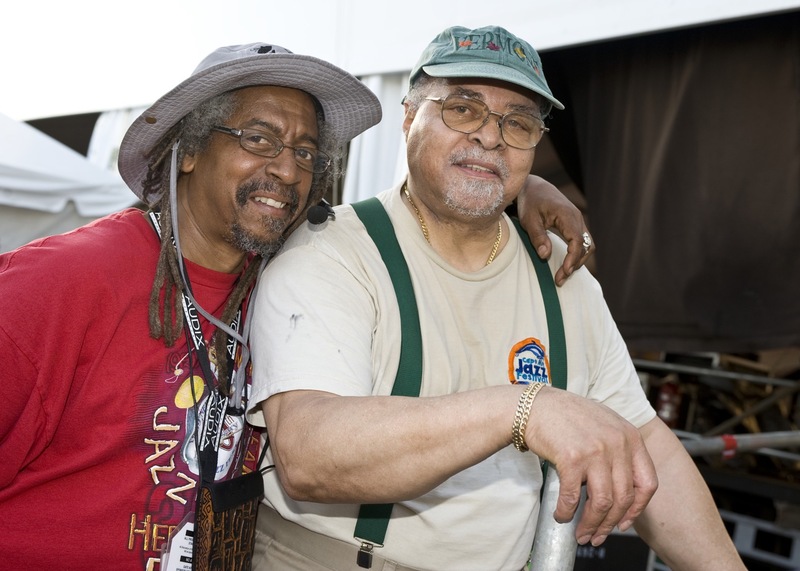 The first festival that we did we opened up with Miles Davis and the Dirty Dozen Brass Band at the Convention Center. It was around Miles’ birthday and we gave him a big cake; he played so long that people got tired. We wheeled out the cake and he cut it and was giving it out to the audience. We did a lot of great shows – we did M’Boom and the World Saxophone Quartet, Little Jimmy Scott with Milt Jackson, Betty Carter, Tito Puente and Paquito D’Rivera and we had a Latin jam session with local Latin cats… We had Miles’ paintings, we did a Chuck Stewart photography exhibit, we had panel discussions… Particularly when we first started we didn’t have a lot for artist fees so I added a lot of stuff like the jazz marketplace. Keter Betts really helped us the year we honored Ella Fitzgerald and Milt Hinton. We had to make a lot of difficult choices – like should we buy ads or buy these airline tickets at this price. I always thought if we’ve got WPFW and WDCU forget the Washington Post. Well I didn’t realize that ten people might be listening to the radio; I wasn’t looking at Arbitron ratings to figure out what was the actual audience penetration that I thought I was getting, that maybe it would have been better to buy the ads and figure out how to pay for the airline tickets later. But given the amount of resources that we had, what we were trying to do was probably too ambitious and probably should have been more conservative in our programming. We did three full festivals and one year we only did the Smithsonian piece; I think that was the year we did the piece with Milt Hinton and Ella. Because we had debt that we had to pay off we would do sessions like Monday nights at Trumpets for a while. And we did concerts at people’s houses; if they had a grand piano we’d say ‘OK we’ll get Henry Butler.’ We’d have him come and play and we’d charge $75 per person, with champagne and cake for an intimate evening. How did that festival work evolve into your concert and festivals production work? I started working as a stagehand well before this. I used to write for the Unicorn Times late ‘70s-early ‘80s, which was like the City Paper except it came out once a month. Richard Harrington was the editor; he called me one day and said I want you to go down to the corner of 7th & E, there are two guys there who are doing some interesting stuff. I was writing mostly about the avant-garde for the Unicorn Times. When I was writing for the Journal or the Afro American I wrote more about mainstream and more about local activities and record reviews. I got access to any club I wanted and I was inundated with music. I wrote for JazzTimes, I wrote for Musician, a bunch of different publications. So I go down and interview these two guys. Bateman wants to do two nights of music: Cecil Taylor, Anthony Braxton, World Saxophone Quartet, Sam Rivers, Marion Brown, John Cage, Phillip Glass, Steve Reich – kind of like a mix and match thing. I never wrote the article for the Unicorn Times because Bateman hired me to be the publicist for these two nights of music. He said he’d pay me a thousand dollars and ten percent of all the recording and video taping that would result. So I signed on for that. I got one check for $100, which bounced. The concert collapsed the first night. Marion Brown played, then Bateman came out and said “we have technical difficulties.’ The technical difficulty was there wasn’t enough money in the box office to pay the next artist, so that delay went on for 45 minutes or so. Then Bateman came out and said “Ladies and gentlemen the concert is over.” And it was a cold, icy rain night, a chill-to-the-bone night. They put everybody out of Constitution Hall. DC Space wasn’t quite ready as a performance space, but that night Bill opened it anyway. Out of that came his relationship with Julius Hemphill, Oliver Lake, and David Murray. They said ‘we’re in DC, we might as well play somewhere;’ so that night is actually when DC Space opened. But I never made it over there. While catching the bus home there was a club nearby, so I stopped in there to kind of drown my sorrows. I’m sitting there and sitting next to me is the stagehands union shop steward of Constitution Hall, a guy named Jerry King. First he recognized me as one of the people who did that concert they weren’t going to get paid for. I thought I was going to get a thousand dollars at the end of the concert and I’m sitting there trying to add this all up. We ended up spending that evening there. Some time later a guy in my building who was a stagehand at the Warner Theater asked me if I wanted to make some money. He said come down to the Warner Theater at 10:00, they needed some extra guys for the load out. At the end of the night I got paid in cash! When the guy paid me he looked at me and said ‘don’t I know you?’ It was the same guy Jerry from that night at the Kung Fu Lounge! He said ‘you wanna work tomorrow’? Be here at 8:00am and bring a crescent wrench. I had always been around theater, but never as a stagehand. I was still writing and the two fit together great. At one point I was working at Olson’s twenty hours a week, working as a stagehand, and freelance writing. When I got to the Capital City Jazz Festival I already had production chops. We had been doing circuses, ballets, plays… Bill Washington and Cellar Door had all of the concert stuff and Bill produced all the black shows. So that’s what we did at Constitution Hall: the Whispers, Gladys Knight & the Pips, whomever… Sometimes two shows a night. Quint Davis and Tom Dent from the New Orleans Jazz & Heritage Festival came to DC to do a workshop for people who wanted to produce festivals. Karen Spellman wanted to get involved with them as a way to better understand the festival we had. I approached them and nothing was available at their festival. A year later Wiley Rollins, who I had met while writing the piece on Jazz Alive, one of his good friends during his Harvard days was John Washington. When John went back to New Orleans he was on the New Orleans Jazz & Heritage Foundation board. He knew I wanted to work at the New Orleans Jazz & Heritage Festival and that’s how I got to New Orleans. Throughout all this work in DC on jazz, how has the DC jazz audience evolved through the ensuing years? I think the audience I first knew got older and a new one developed. Obviously a big boon has been the development of U Street, which went down with the King riots. It didn’t really come back until the subway was finished. When that happened a whole new U Street nightlife developed and with that nightlife came a whole new generation. The resurgence of U Street meant a new audience, a young audience. There was an audience that was a part of what Blues Alley was about and Harold’s Rogue & Jar, Top of the Foolery… That audience I encountered at those places was probably a little bit older than me. Now it’s twenty-some years later and most people in their 60s aren’t going out to clubs; you might see them at [Friday night jazz at] Westminster [church], but they’re not going out to clubs. So with the revival of U Street as a nightlife venue, not only did the Bohemian Caverns come back, you had Twins Jazz there, but also you had other places that feature some type of jazz at some point or another, that’s when I saw a new audience. The continuity that was broken up was the result of all of these socio-economic things that have happened, and then with the demographic infusion – the city has changed. One of the reasons I was so excited to come to DC was because I was from Toledo, went to Western Reserve Academy in Hudson, OH, then went to college in Yellow Springs, OH, then I came to DC and I was loving all the black culture. But then Chocolate City has changed. After the [post-MLK assassination] riots a lot of people left DC because they could leave and a lot of people stayed because they couldn’t leave, and a lot of areas that were central to the black community at that time were on the decline: H Street, U Street… and everything related to that; so those areas came back with this whole gentrification process and with that has come new audiences. One such development in recent years has been a kind of do-it-yourself attitude as far as presenting jazz, as exemplified by Capital Bop and what writer Gio Russonello and musician Luke Stewart are doing, something of a loft scene. Do you see any correlation between what Bill Warrell did with DC Space and what’s happening now with this new loft scene? There were some other places also; there was another kind of jazz scene, almost like a Black Nationalist scene. Jimmy Gray – Black Fire – another important figure people overlook is one of those programmers who came on WPFW, like Eric Garrison, who were scholars in their own right, serious record collectors. Jimmy Gray had been in the record distribution business, and got out to start his own label… There were some other kind of loft scenarios that featured musicians that Jimmy was working with, not so much well-known New York cats, but musicians who were trying to play in that way. The one thing I think continues that tradition is what Transparent Productions does. I think that [Transparent producer and WPFW programmer] Bobby Hill was kind of a part of what we were doing. One of the things I did when we had Capital City Jazz Festival, I invited Tom Porter, Bobby Hill and a bunch of other people [to be guest curators and propose ideas]. Once we started the jazz festival everybody felt like ‘I could do that’ because everybody has ideas about programming. And that’s when I realized that yeah, I had great ideas about programming but what you really needed was a business sense, which I didn’t have. So when I started making those choices about advertising, I think a better businessperson might have made better choices. We made choices out of what our vision was, not how to stabilize and grow a festival. By the time I went to work in New Orleans on the festival that’s when I realized I needed to learn. I would say that Transparent Productions represents more of a continuum with what District Curators was about. District Curators evolved out of DC Space. The idea of doing a series at the Corcoran, where they did Cecil Taylor, Art Ensemble of Chicago, and Julius Hemphill’s Long Tongues. Those were the three nights at the Corcoran. The whole evolution of what we did with Long Tongues that was District Curators. Transparent Productions, because of the individual people involved – Bobby Hill, [WPFW programmers] Thomas Stanley, Larry Appelbaum – all those individuals had the experience of DC Space, felt the void when it went off the scene and created a vehicle to continue in that spirit. What Luke and Gio are doing I don’t think has anything to do with DC Space. They’re a new young generation creating their own space; they may reverse engineer and look back and see themselves as inheriting some kind of a void, but to me Transparent Productions is what DC Space spawned, there’s a more direct relationship between what they’re doing and what DC Space was. I’m not going to say it’s not important, it is important. They’re creating another beachhead, creating opportunities for people to play… I think their [Capital Bop.com] website is amazing – what they’ve put together and how they relate that to what they do. I think their initiative is great. Part of it for me right now is I’ve stopped trying to keep up [with the scene], it’s more about what interests me and trying to do my own work. When I was an active journalist I tried to be everywhere and cover everything. I’m not trying to be an active journalist now, it’s not important to me to do that. What’s important to me are projects I’m interested in and what I want to work on. There’s much more behind me than in front of me and I want to make sense of and leverage that body of work. How do you see these developments, like Transparent Productions, what Capital Bop is doing, impacting DC’s cultural scene in general? The beat goes on, I’m just glad they’re doing it. The fact that oncoming cats are doing what they’re doing, you have to have faith in that. 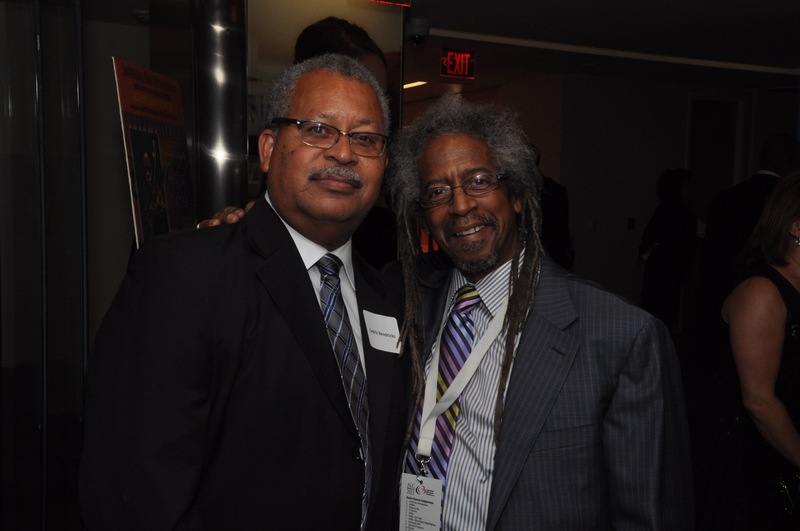 How does your work on the annual Congressional Black Caucus Foundation jazz day impact the DC jazz community? Its become an event that people like to go to, people that don’t necessarily attend the annual CBCF legislative conference come to that event. When that started it was just a panel discussion and a reception. John Conyers sent out a letter, he wanted to do some jazz stuff and Cedric Hendricks was on his staff. And because I could write, I could program and I could organize production, I became a very useful piece of that puzzle. I started out working with that event as a volunteer in 1985. In 1992 I reached out to the shop steward at the new convention center – which is when they moved the CBCF jazz event from the Hilton to the Convention Center – to find out what the labor rates were so I could put together a budget. He said ‘you need to contact the CBCF, they’re looking at you to help them produce the conference.’ That’s not a job I was looking for, but I owe that to John Conyers. Once I got there, because I was one of the producers, I was able to push the jazz piece even further. By this time I’d been working in New Orleans, at Jazz at Lincoln Center… my range of contacts had grown exponentially. I had much more experience in terms of production, and not just production nuts & bolts but I had that concept of what it is to be a producer. So I was able to push it to another level. When we first started doing the jazz event the record companies would underwrite the performance if we picked up the travel. Once the record industry died it became a different game in terms of sponsorship and how to keep that afloat. For the Foundation its all about every event earning more in sponsorship than it costs because the conference is a fundraiser for the overall work of the CBCF throughout the year. We have resisted pressure from the Foundation to charge for the concert. So it’s a free event during the legislative week that has a high level of talent that the community can participate in. As the years have gone on the only thing left for the community to be involved in with no charge is the jazz event. This thing has reached a high level and now it’s an asset to the whole CBCF enterprise. House Concurrent Resolution 57 (declaring jazz “an American national treasure”) resulted from the first CBCF jazz evening panel discussion in 1985. At the end of that session Jimmy Owens challenged John Conyers to do something legislatively for jazz. He took on the challenge. I was working as a stagehand at the Kennedy Center on the Kabuki Theater and a Japanese stagehand pointed to an artist and said “you see that guy there, he’s a living national treasure.” Bingo, that’s where that language came from! That next day I took what that guy said to me and finished drafting HCON 57. What’s your overall goal for the CBCF jazz day? Just that it’s important that an organization of that significance in the national African American community and the nation at large has seen fit to put a showcase around the music. It doesn’t happen with the Urban League, it doesn’t happen with the NAACP, nor with the black fraternities and sororities – it does happen at the Congressional Black Caucus Foundation Annual Legislative Conference. And the reason it happens is because John Conyers had that vision to add that piece as an issue discussion and it has evolved. Because of his stature he was able to create that space. If there’s a study or something done in the jazz community, I’ve tried to have a presentation about it to open up the issue forum, because I know that much of that information is not broadly disseminated – even within those circles in the black community that claim they’re interested in the music. So we say, ‘let’s do it there, let’s bring together a panel of experts, let’s elevate a discussion.’ It became more of a day; we went from wanting a two-hour block of prime time for the issue forum and a town hall meeting on jazz, and then later have the concert, and keep a humanities element in it by having a meet-the-artist discussion so that people who don’t get into the issues forum still get to have some introduction to what people think about this music. I’m all about preserving our stake in this music, that’s my agenda; this music came out of our experience in our community, in the American context. Cedric and I are all about using that platform to keep that alive, that’s what WE can do. I’m disappointed that JazzTimes, DownBeat and the rest of them don’t pay any attention to this event, but I think they’re gonna pay attention around HR2823 [Conyer’s new jazz support legislation]. The reason this bill was drafted is because John Hasse came to Conyers about getting more money for the Smithsonian jazz efforts. Cedric called me and I said if we’re going to do a new bill it can’t just be about getting the Smithsonian more money. From the ideas we’ve gathered, in early 2014 we’ll have a new draft of the bill that we can circulate for comment until the end of February, then Legislative Affairs will draft the final bill in March to be introduced during Jazz Appreciation Month. That will give us a piece of legislative with some teeth; it will direct agencies of government to spend money in different ways on jazz. We stumbled over here by a different web address and thought I might check things out. I like what I see so now i am following you. Look forward to checking out your web page for a second time. The unidentified man in the photo of Felix et alii at Blues Alley is jazz writer Alexey Batashev, Willard. Great Interview, Willard. Would love to have had you to moderate our Millennium Arts Salon panel with Michael Wilderman and Bill Brower with Jonathan French to accompany the production of SATCHMO At The Waldorf. Another time. You are the best. Hi, I used to go to The Rogue and Jar, ETC, Top of the Foolery and at times Blues Alley. There was a local alto saxophonist which sat in with some of these bands that played there and if I remeber correctly his name was Frank and his last name I think began with the letter W,I’ve forgotten but he was good. Perhaps it was Weston but I’m not sure.Too bad ETC had to close they brought in big names like Cannonball and his brother Nathan Adderly,MJQ and a lot more. Maybe you can help me with that name. Heck of a job there, it abtuolsely helps me out.